Great job and a huge congratulations to all competitors and participants! Check out the FACEBOOK PAGE for great images and info from past events. A massive thank you to all the huge support from businesses in town, the District of Tofino, Tourism Tofino, Wildside Grill, Rhino Coffee House, RSDK Tall Trees and Cold Seas, Nathan Rehbein, the communities of Tofino and Ucluelet, all the families, parents, super hardworking judges and volunteers, our beautiful beaches and waves and of course the kids who made this year's beach day so great!!!! 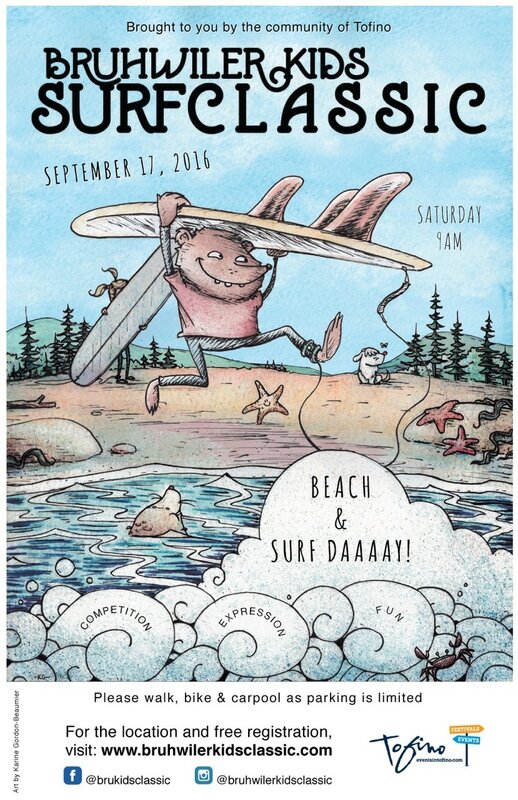 ​Thanks to everyone from near and far for coming and being part of another great Tofino day at the Beach!!! 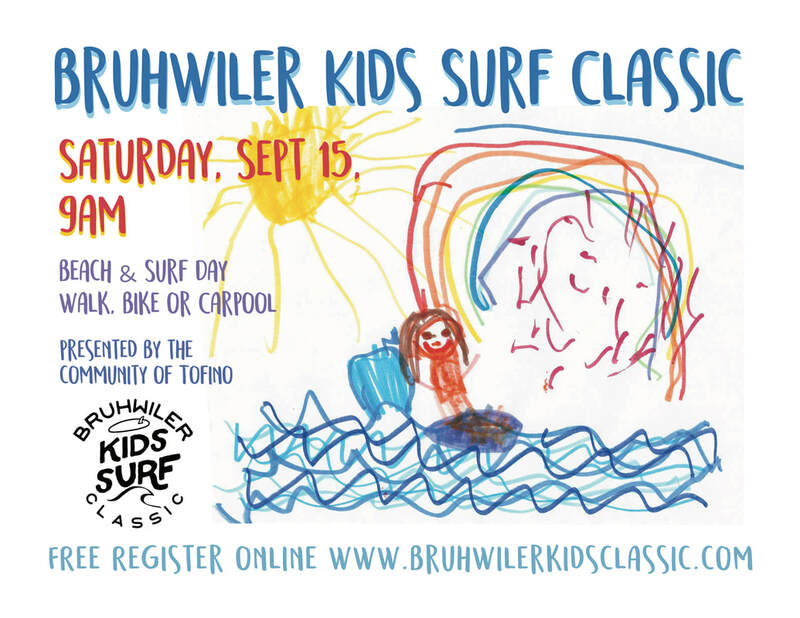 Under rainy and sunny skies and perfect kid-sized waves, the 3rd Annual Bruhwiler Kids Surf Classic was a success with 75 kids running around in wetsuits and enjoying the beach, waves and each other’s stoke. Check out the FACEBOOK PAGE for great images and info from past events in 2014 and 2015. 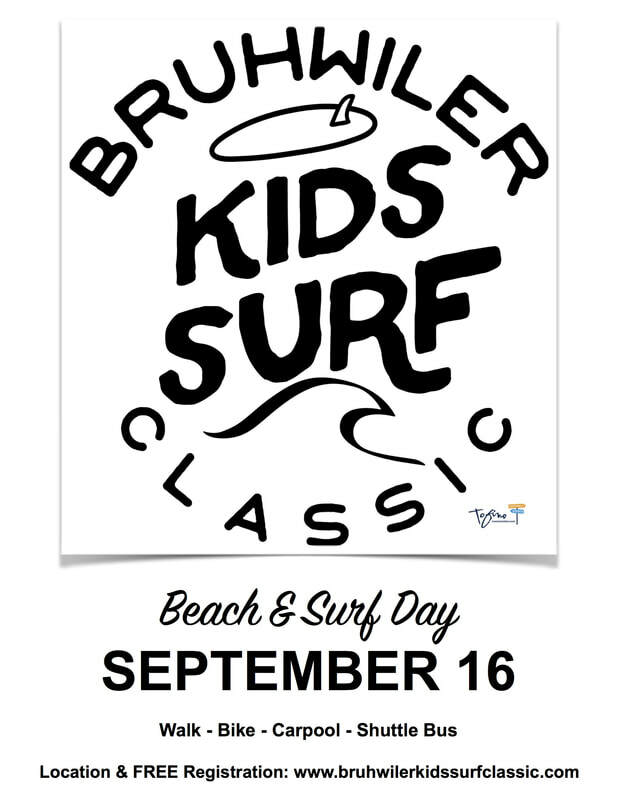 Arkoa Kariatsumari, Azuray Dewolfe, Koen, Orion, Sawyer, Tylah Merasty, Wyatt, Ella Ahier, Arielle Besson, Mila Besson, Jeremy Bahcheli-Russell,Kayla Blake, Zoe Blake, Annabelle Boulton, Aqua Bruhwiler, Charlie Bruhwiler, Dusty Bruhwiler, Kobe Bruhwiler,Shea Bruhwiler, Sofia Bruhwiler, Kaiya Cross, Asher DeVries, Seth Findlay Dohms Chisholm, Hudson Egles-Mkinnon, Neveah Egles-Mkinnon, Sienna Egles-Mkinnon, Trinity Egles-Mkinnon, Lily Frost, Haydin Gibson, Karson Gibson, Sam Gildenhuys, Andrej Gluhovic, Shea Hersak, Kyten Holmes, Mathea Dempfle-Olin, Sanoa Dempfle-Olin, Lou Guyon Dewolfe, Keanna Hasz, Bodey Hasz, Ivy Jaques, Sholeh Kerrigan, Jai Koivunen, Nea Koivunen, Van Law, Taylah Merasty, Jasper Monette, Yemaya Monette, Alexander Petch, Chloe Platenius, Reed Platenius, Jasmine Porter, Serena Porter, Sophia Rodgers, Tilly Rodgers, Jade Rosene, Tylan Ryan, Andrew Sadler, Ethan Soellner, Angus Sohier, Annie Sohier, Seth Stere, Seamus O’Sullivan,Kobe Suzuki, Iris Sylvestor, Julian Sylvestor, Sol Sylvestor, Annabella Tichkowsky, Abbi Venizelos-Warren, Justin Wadell, Zoe Venizelos-Warren, Azuray de Wolfe, Kash Soellner Wilson..and a few groms that jumped in at the beach..